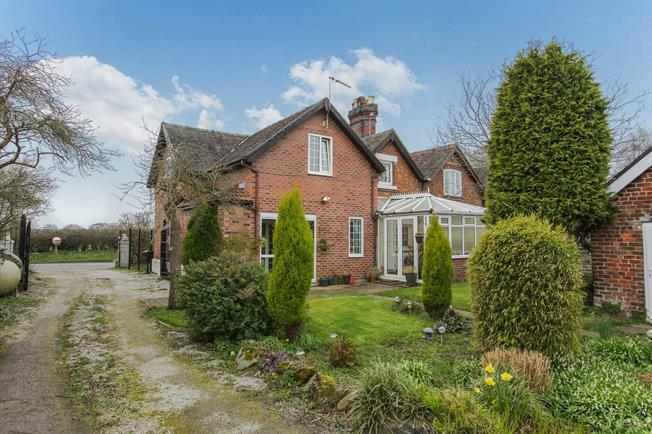 4 Bedroom Semi Detached For Sale in Macclesfield for Offers in excess of £425,000. Chapel Brook cottage is a semi detached property believed to date back from the 19th Century. This four bedroom home has two large reception rooms and a conservatory. To the first floor there are four double bedrooms and a well appointed family bathroom. To the rear of the property is a large garden laid mainly to lawn, a double garage leading from the driveway. To the side of the property is land of approximately three acres which can be purchased by separate negotiation. Work shop, garden store and coal shed. There is a paddock of approximately 3.33 acres adjacent to the property with its own road access which is available by separate negotiations.